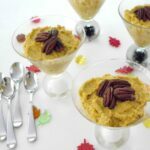 This low carb pumpkin mousse dessert is served with caramelized pecans. I realized the other day that I didn’t have any pumpkin recipes on this site! With fall rapidly approaching I had to rectify that situation. My husband isn’t much of a fan of any of the spices that regular get paired with pumpkin, and it can taste rather bland without. 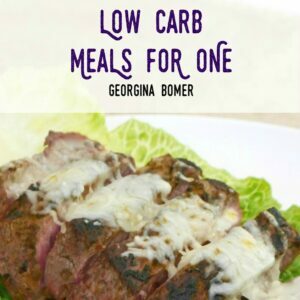 So I knew I had to make something with individual portions rather than a big pie or similar. 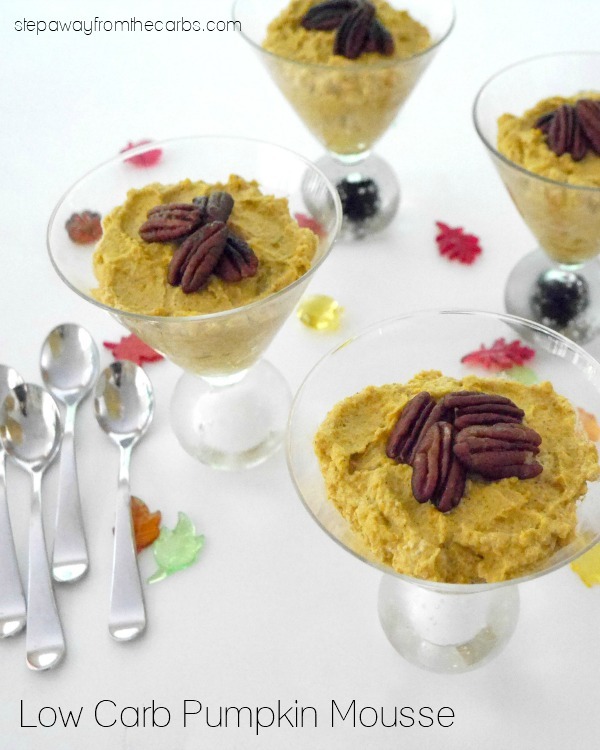 These pumpkin mousses were the answer, and the caramelized pecans go so well with them. Just make sure you don’t buy canned pumpkin pie filling – it’s pure pumpkin puree that you need. Mix together the pumpkin puree, pumpkin pie spice and vanilla extract in a large bowl. In a separate bowl, whisk together heavy cream and xylitol. If you don’t have xylitol you could use granular Swerve instead. Whisk until stiff peaks form. 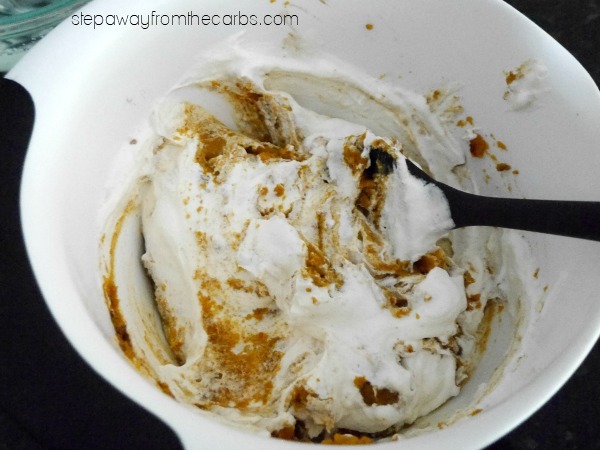 Carefully fold the whipped cream into the pumpkin mixture. Spoon the mousse into four bowls or glasses. Cover with plastic wrap and place in the fridge for at least an hour. To make the caramelized pecans, melt some butter in a small pan then add the pecan halves and xylitol. Cook for five minutes over a medium heat, turning to coat the nuts in the mixture frequently. After the butter starts to turn brown, remove the pecans and place them on some parchment paper. Separate them out and leave them for ten minutes to harden. Place them on top of the mousse when ready to serve. 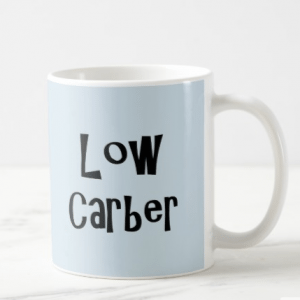 As you can see I have included two net carb counts – one that includes sugar alcohols and one that doesn’t. The sugar alcohols are in the xylitol, and different diets include or exclude them. Mix together the pumpkin, spice and vanilla in a large bowl. In a separate bowl, whisk the cream and xylitol until stiff peaks form. Carefully fold the pumpkin mixture into the cream. Spoon the mousse into four glasses or bowls, cover, and leave in the fridge for at least an hour. 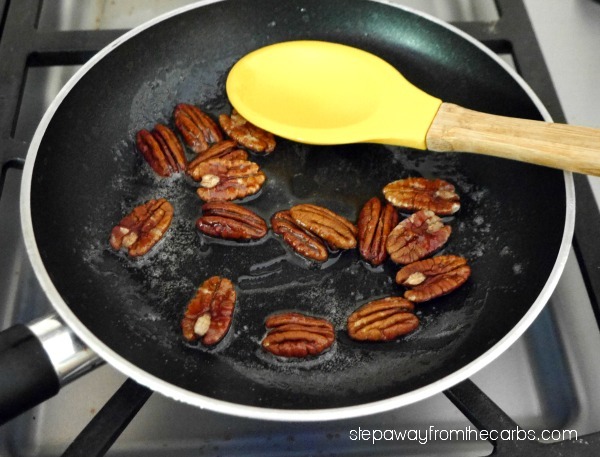 To make the caramelized nuts, add the butter, pecans and xylitol to a small saute pan. Cook for 5 minutes, turning frequently, until the butter starts to darken. Spoon the nuts onto parchment paper and leave to harden for 10 minutes. « Introducing the Easy Peasy Meal Kits from Atkins Nutritionals! Oh yum! This pumpkin mousse looks fabulous, and I love the candied pecans on top! I am going to make this or something like it. I will add eggs and bake it, and chop the pecan instead and make a pecan topping. Thank you for the idea. I like pumpkin pie, but haven’t had pumpkin mousse. I bet it’s great and the pecans sound just the right accompaniment. What a perfect autumn dessert. The candied pecans look incredibly crunchy and yum… wish I could have a portion right now! My husband would love this. Pumpkin pie is his favorite! It doesn’t seem like it would be sweet enough with the only sweet taste coming from the whipped cream. Many of my desserts aren’t super sweet because sweetness usually means carbs – even if sweeteners are used. It also suits my personal taste, so feel free to add more sweetener if you prefer!